You must obtain an appraisal if you apply for a VA home loan. 3. Who Pays for Termite Inspections in FHA Loans? If you're applying for a mortgage backed by the U.S. Department of Veterans Affairs, you must get an appraisal of the home before the loan can close. The appraisal value must be for at least as much as the loan you are requesting. This ensures that the VA will be able to recover its money in case you default on your mortgage. The guidelines for VA appraisals include regional requirements to account for differences in weather conditions and construction practices. The VA randomly assigns an appraiser to your case. The appraiser is required to follow the VA's ethical and procedural guidelines. He may not misstate the home's value to manipulate the loan amount. 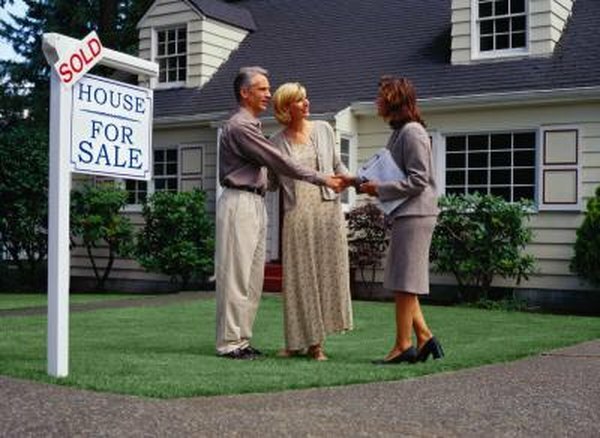 A VA appraiser typically works alone, but he might bring in an assistant when necessary to complete the job. If more than one person works on the appraisal, the report must list all their names and the duties each person performed. The appraiser must physically inspect all items that could affect the value of the home. New homes under construction that aren't ready for inspection can be appraised in comparison to other similar homes. The appraiser may inspect a model home with the same floor plan or review the construction blueprints for the unfinished home. The final appraisal report must list all repairs that the inspection found were needed, and the estimated cost for each. Each residential unit must have a supply of domestic hot water, safe drinking water, toilet facilities and a safe method of disposing of sewage. The roof must be sufficiently sealed to prevent moisture from entering the house and to provide reasonable durability and future utility. The property must provide adequate drainage away from the home to keep water from pooling. Appraisers review comparable sales in the area to estimate the value of your house. Normally, only verifiable sales within the previous six months may be used for a VA appraisal. The appraiser may use older comparable sales if they are the only sales available in the area. This reason must be noted on the final appraisal report. The appraiser must sign and date the final valuation report. The report must include a listing statement for the house; a map showing its location and all comparable sales used to estimate the appraised value; pictures of the home from the front, rear and street view; and a sketch of the perimeter of the home with square footage calculations. The report should finish with an analysis of the home's estimated value and the method used to create the estimate. The VA requires appraisers to use the sales-comparison method when calculating value. VALoans: VA Appraisals -- What's Involved?